I hope your Christmas was totally amazing! I loved every minute of it. And I'm holding on a little bit longer. I refuse to touch the decorations until next week! 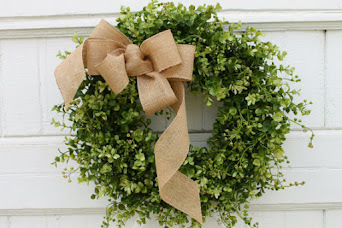 I love this Boxwood Wreath from Barbara at 21 Rosemary Lane! You just might want to make your very own! I'm always a fan of skates on sleds and these vintage blue skates with fur trim just might be the cutest ever. Diana from Adirondack Girl @ Heart found them at a garage sale for just a $1.00 - lucky girl! There was no shortage of holiday house tours this year, but this one was one of my very favorites! 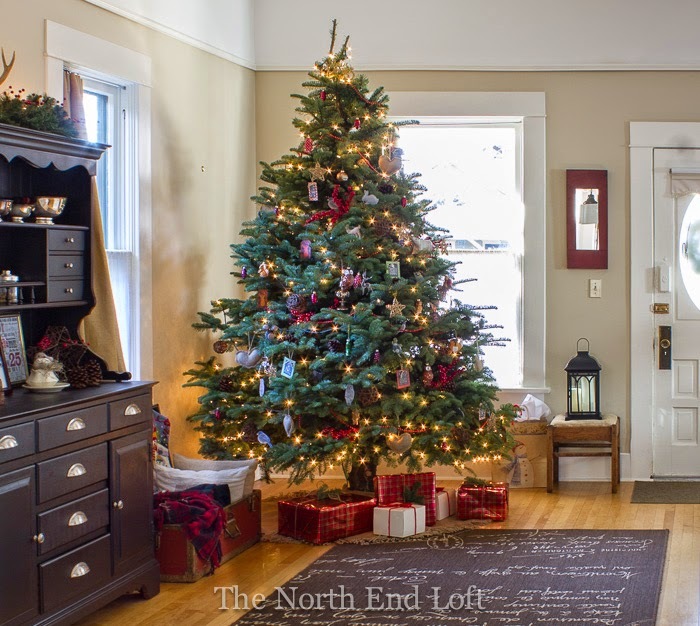 Laurel broke her tour into several posts, so head on over to The North End Loft and enjoy! 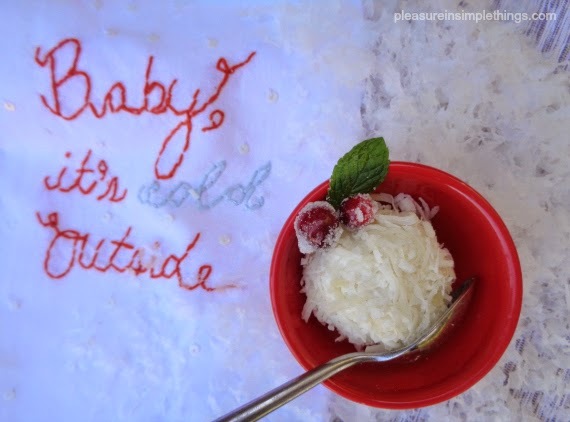 Snowballs for dessert? 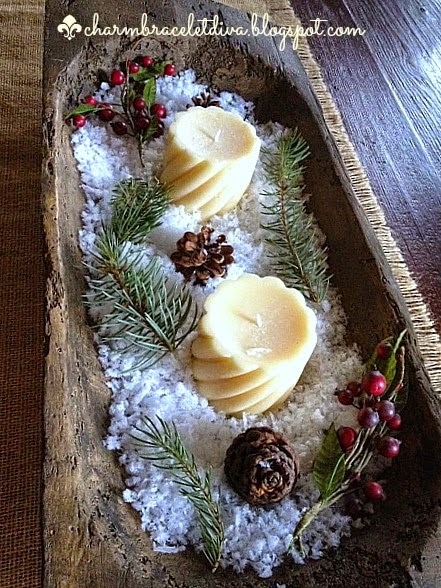 What a pretty and simple idea from Pleasure in Simple Things and perfect all winter long! 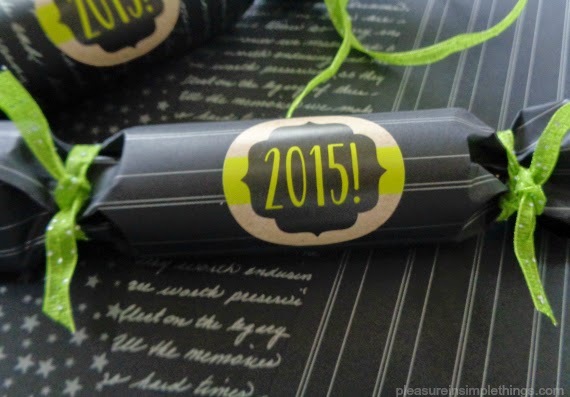 You'll also find all the details for creating your very own personalized party crackers over at Pleasure in Simple Things! The salad from Nicki at T-shirt & Jeans sounds delicious and the presentation is just so lovely! 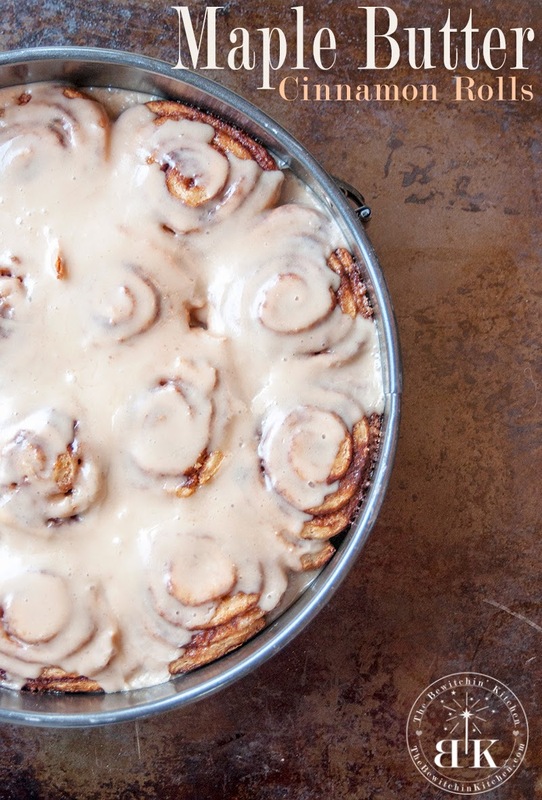 And these Maple Butter Cinnamon Rolls from The Bewitchin' Kitchen look pretty fabulous! 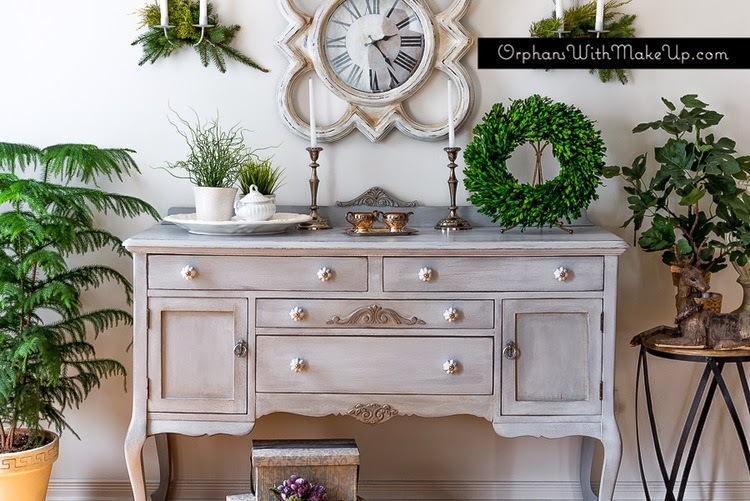 Mary from Orphans With MakeUp always puts so much time and attention into staging her furniture beautifully - sigh! 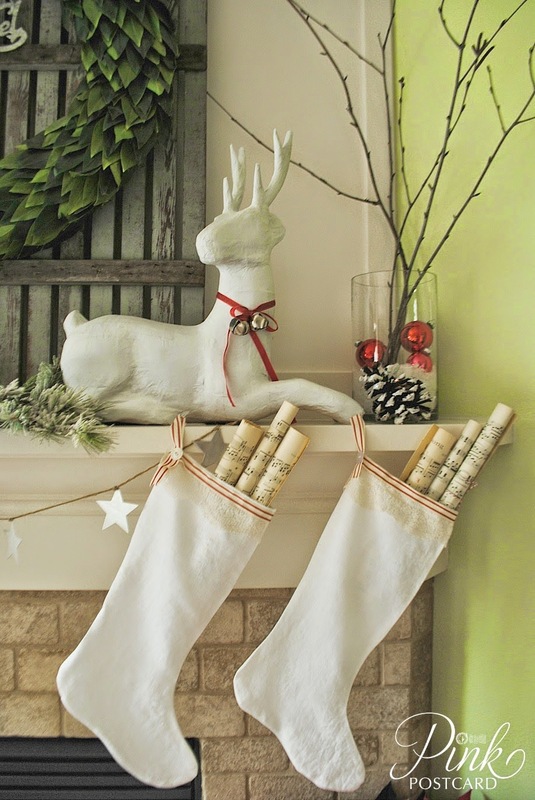 This mantel from Lovely Livings Blog is pretty amazing! 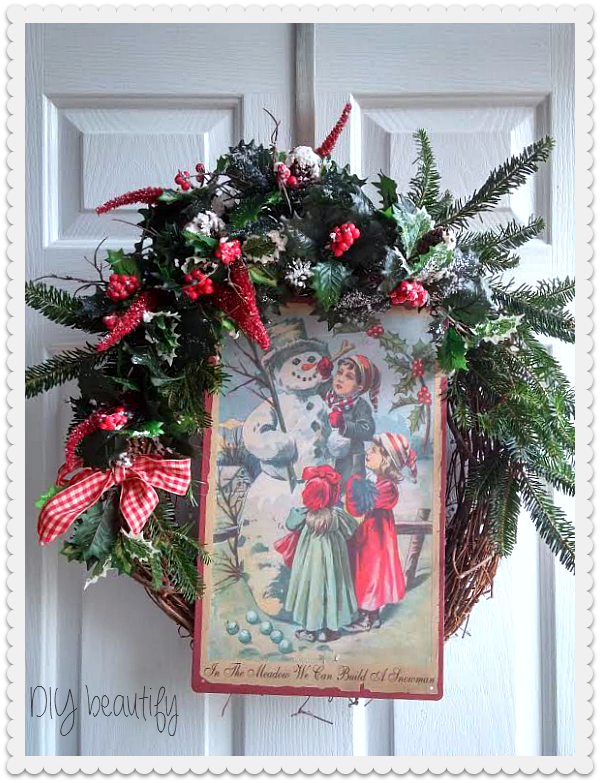 I love the vintage feel of this Christmas wreath from Cindy at DIY Beautify! 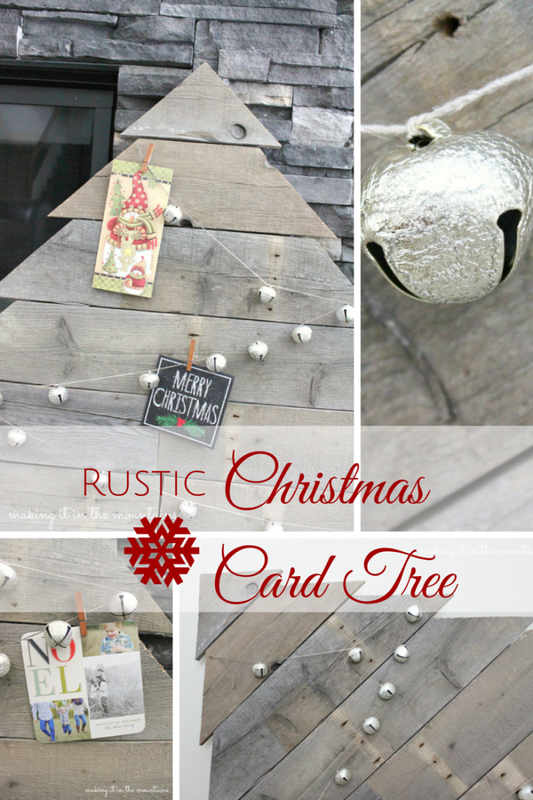 Kristi from Making It In The Mountains shared this really cool rustic Christmas card tree! We have mini molds at our tag sales all the time. Celilia from My Thrift Store Addiction had the cutest idea for repurposing them! 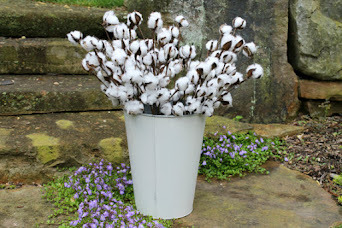 I love the simplicity of this rustic centerpiece from Kathleen at Charm Bracelet Diva! 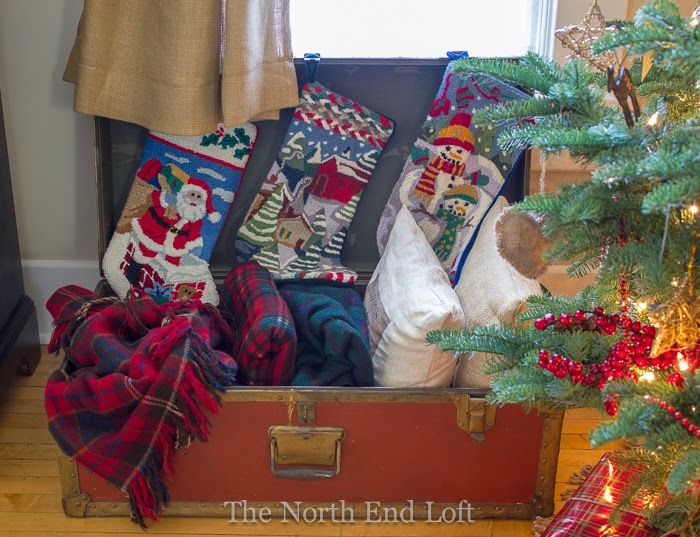 Have you checked out Laurel's holiday house tour over at The North End Loft? 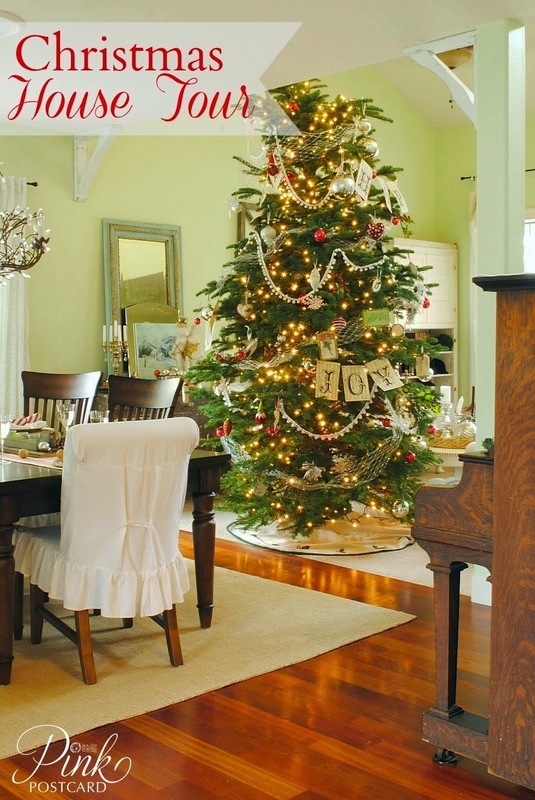 Her home is so warm and cozy with woodland touches and this tree is just perfection! 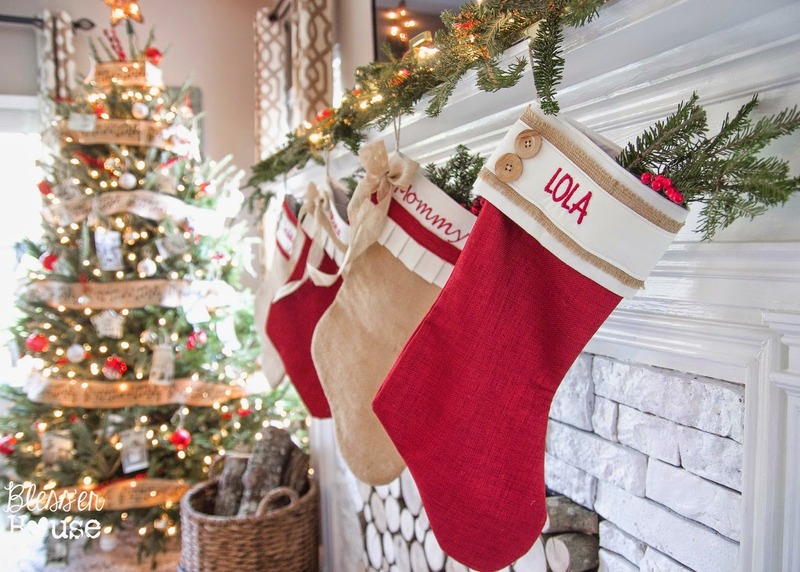 And just because you don't have a fireplace doesn't mean you have to skip the stockings! 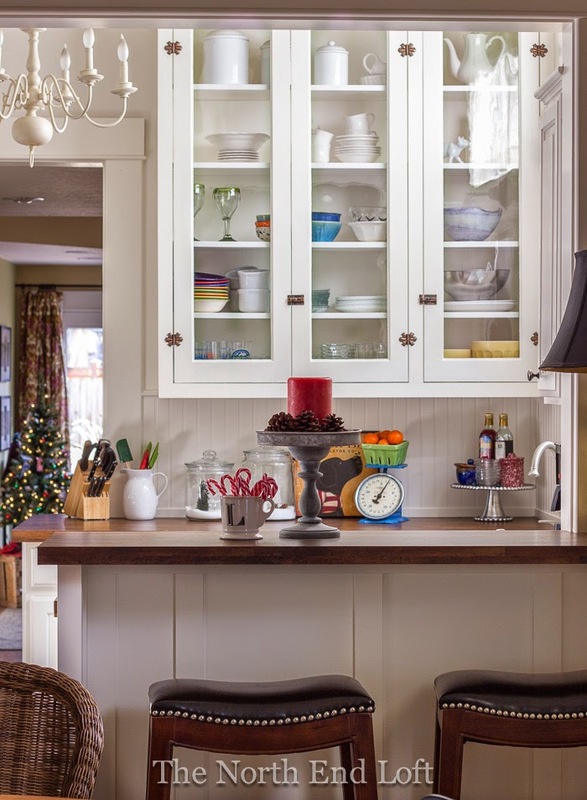 Lauren from Bless'er House also has a really beautiful holiday house tour to share. 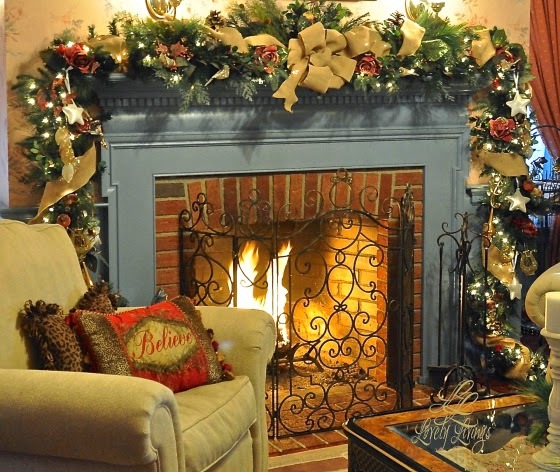 And I just love her faux fireplace! 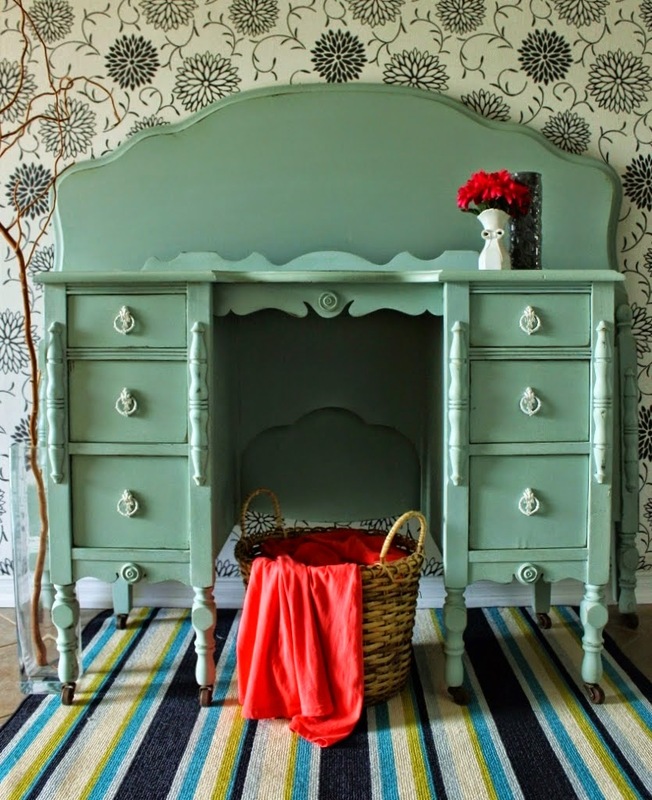 This antique vanity and matching bed from Re-tiqued by Rae Bond are painted in the most gorgeous shade of minty green! 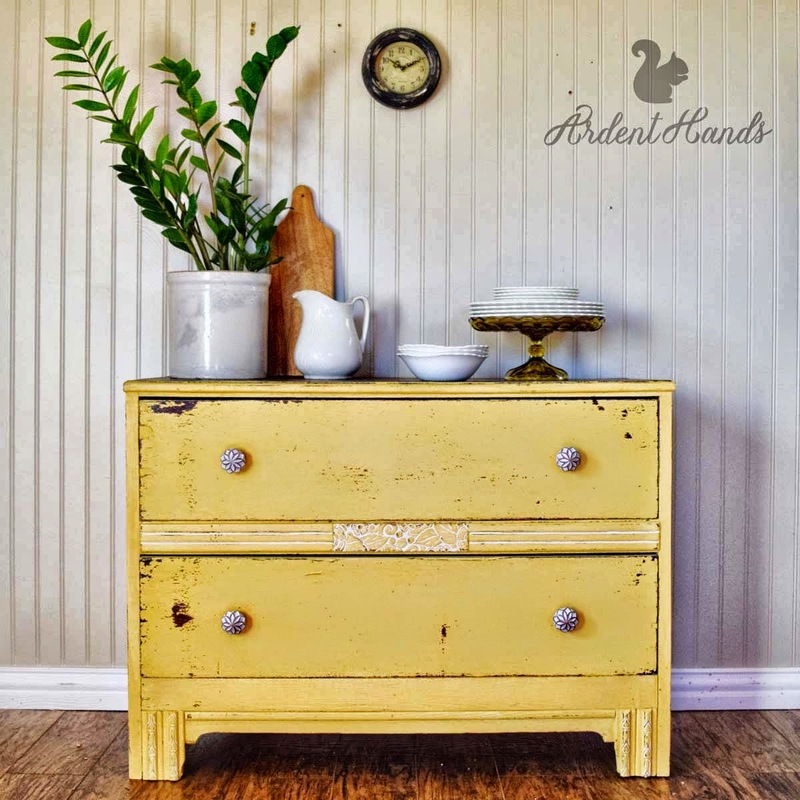 This little dresser from Jennifer at Ardent Hands is just so sweet in yellow! 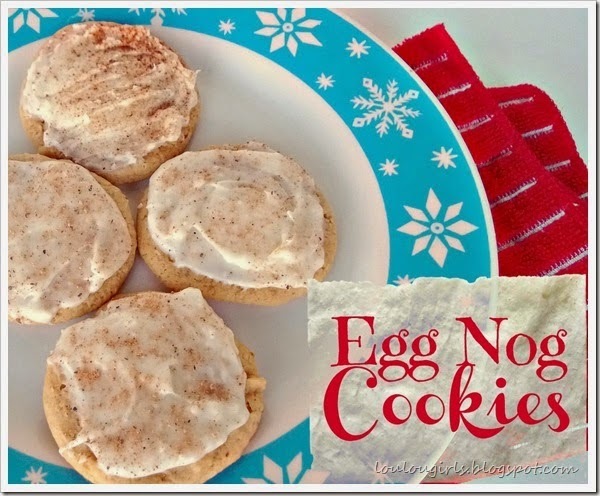 And we should definitely end on a sweet note with these pretty Eggnog Cookies from Lou Lou Girls - yum! 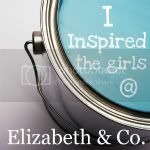 Today I have the pleasure of doing a guest post for my friend Diane over at An Extraordinary Day! 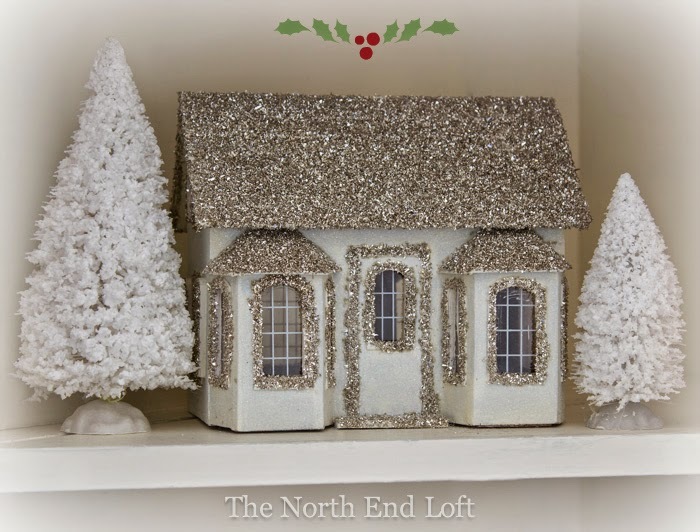 Diane has been hosting a series on Christmas vignettes and invited me to share a vignette that holds a special memory. So today I'm sharing the little Christmas Cookie Baking Vignette that sits on my kitchen counter. It reminds me of one of my very favorite holiday traditions - baking rolled out sugar cookies with my family on the afternoon of Christmas Eve. The cookies are delicious, but it's the love and laughter that makes them extra special. And this year, we have a new little cookie decorator to join in the fun. 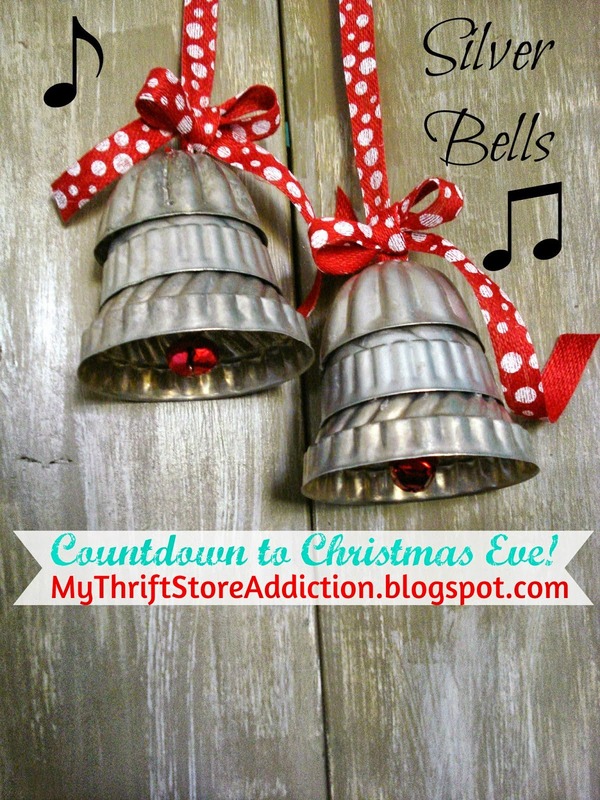 I can hardly wait for Christmas Eve! 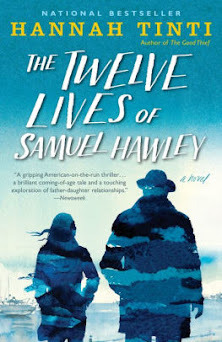 You can check out my guest post over at An Extraordinary Day! If you haven't already met Diane, I hope you take some time and browse around her beautiful blog. And Diane is not only talented and creative, but one of the sweetest and most encouraging bloggers out there. Her positive energy always makes my day! 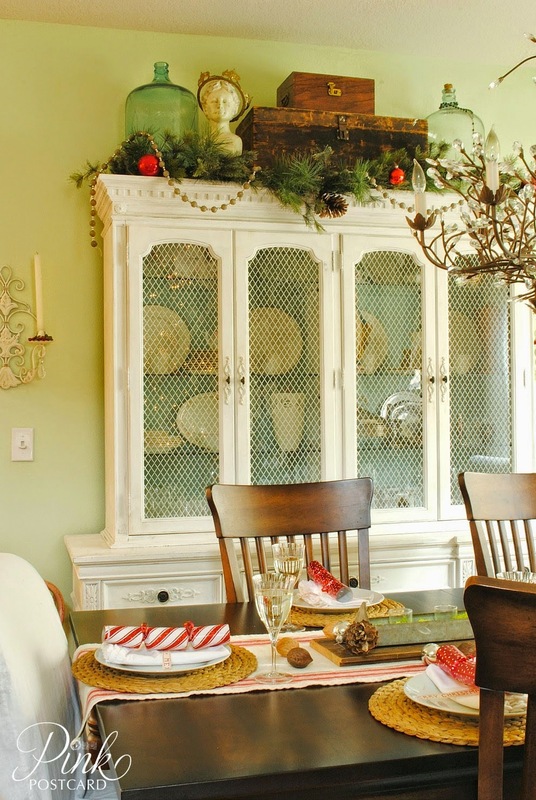 Denise from Pink Postcard shared her swoon-worthy Christmas House Tour. Head on over, you're going to love it! 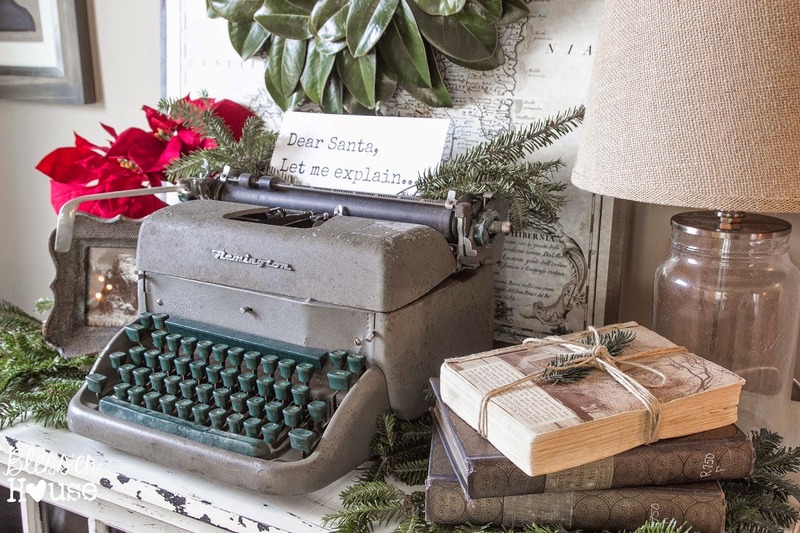 Lauren from Bless'er House created this charming French Industrial Christmas Vignette and a great tip on how to use the items already in your home for holiday decor! 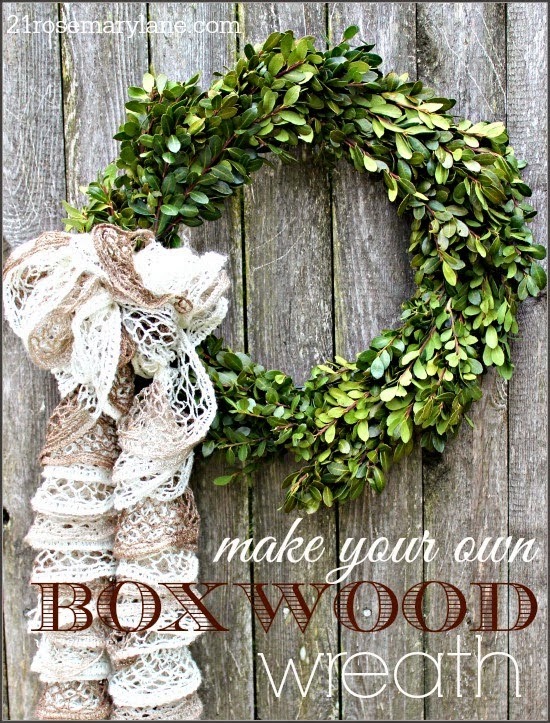 There is still time to get crafty this holiday season. 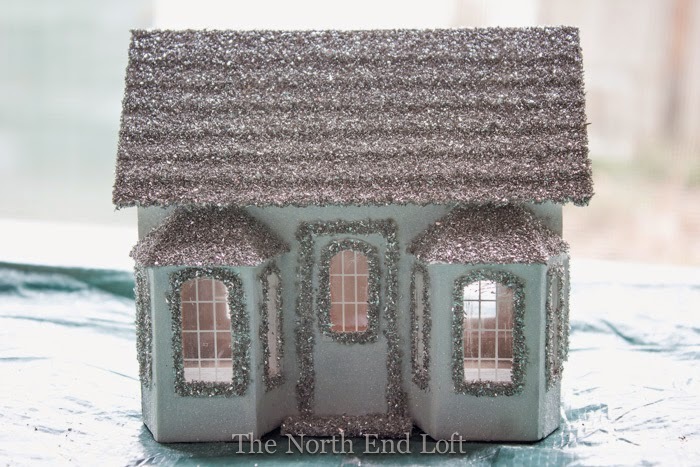 You might want to make some pretty glittery Putz Houses with a little help from Laurel at The North End Loft! And Chris from Red Gate Farm shared all the details on these sweet Peat Pot Ornaments! 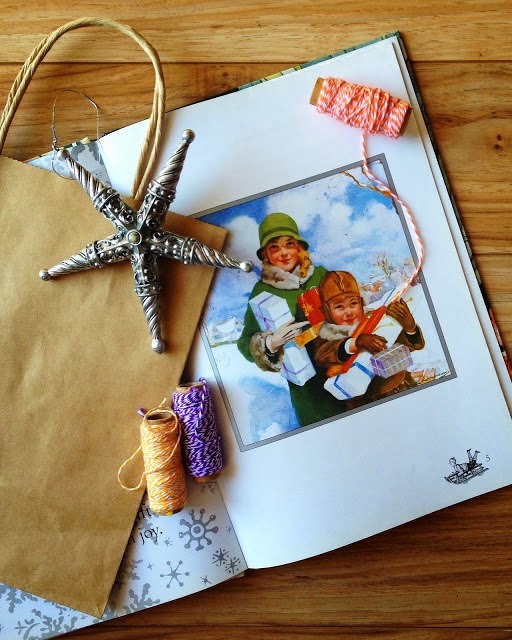 Nicki from T-shirt & Jeans shared a lovely family holiday tradition with us! This dresser from Mary Beth's Place has it all - great curvy details, a pretty color, a beautiful wood top and gorgeous copper hardware! 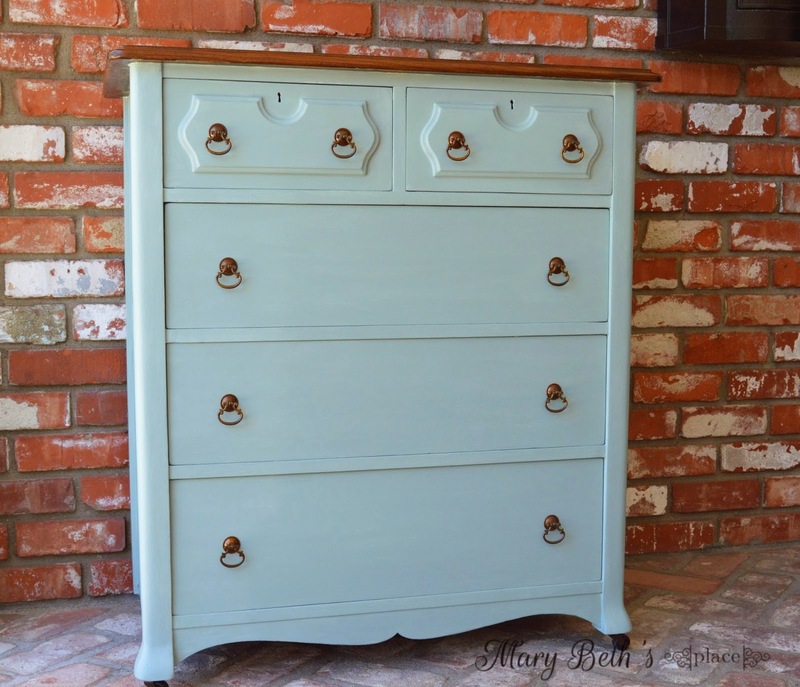 And Suzanne from The Painted Drawer describes this piece as the definition of vintage charm. I totally agree! A Flash Holiday Tag Sale! Yes it's true, we're having one more tag sale! When we wrapped up our holiday open house a few weeks ago, we thought we were done for the year. But we heard you loud and clear, you wanted another opportunity to shop before Christmas. We offered shopping by appointment, but some of you said you didn't want to bother us. Really, it's no bother, we love our customers! And since we like to make people happy, we put our heads together and found that we're available this Saturday, so we're opening our doors from 9 AM to 3 PM for one more round of fun! We've done some fluffing and restocking and even marked down prices to make way for new finds in the spring. It's the perfect time to buy that piece of furniture you've been pondering before it disappears! 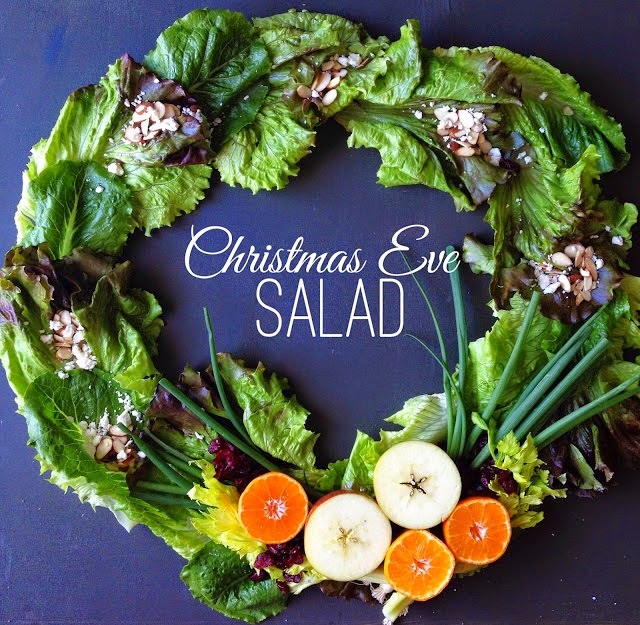 We have everything you need for holiday decorating and entertaining. 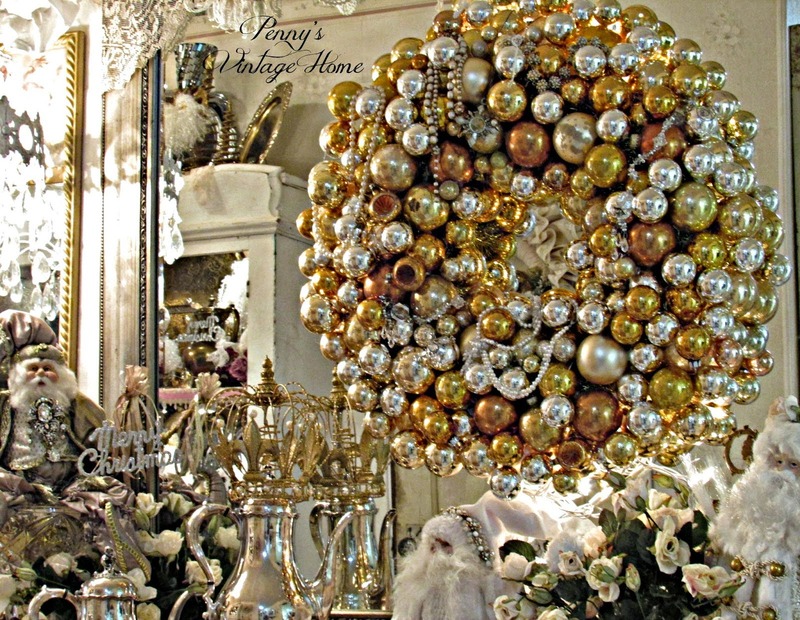 And for unique, one-of-a-kind gift ideas - think vintage! Sorry, no big preview post this time, But we'll crank up the heat, get the Christmas music playing and bake some fresh cookies! Hope to see you Saturday for a flash holiday tag sale! Wishing you all a warm and wonderful holiday season! Penny's Vintage Home got an early start on holiday decorating. I love the sparkle of silver and gold on this beautiful ornament wreath! 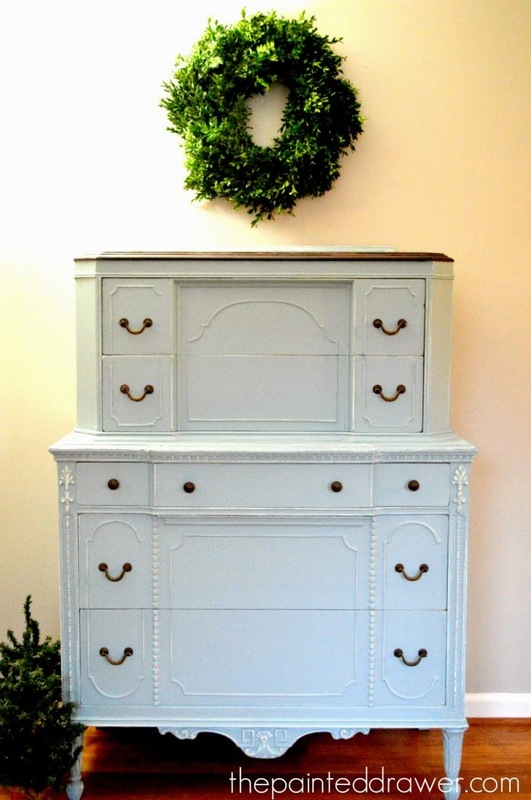 This navy blue dresser from Jenni at Roots & Wings Furniture Blog is stunning! 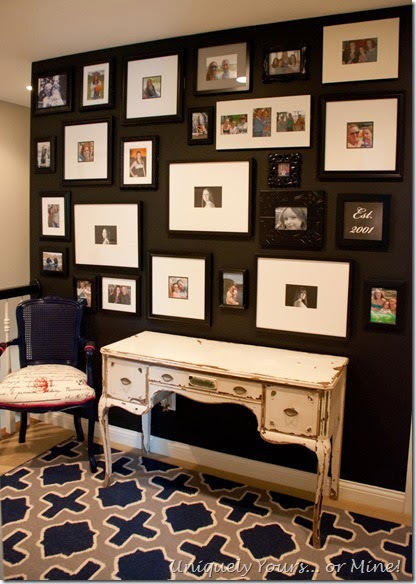 Susan from Uniquely Yours or Mine added so much charm and personality to her upstairs hallway with a family photo wall! 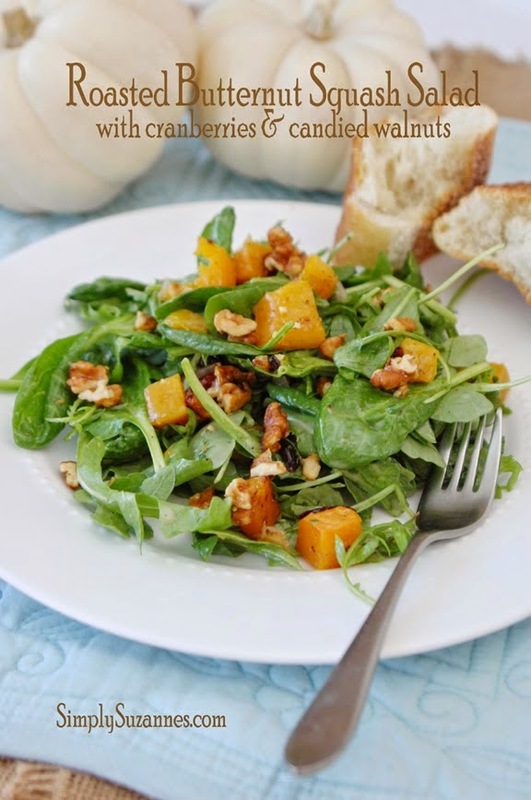 This salad from Simply Suzanne's At Home looks beautiful and delicious! 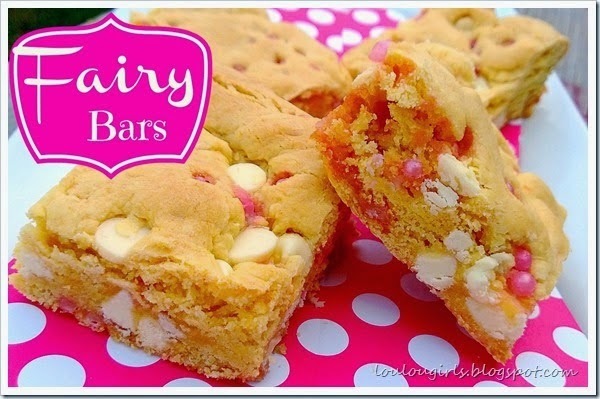 Fairy Dust Bars from Lou Lou Girls look ready for a party! 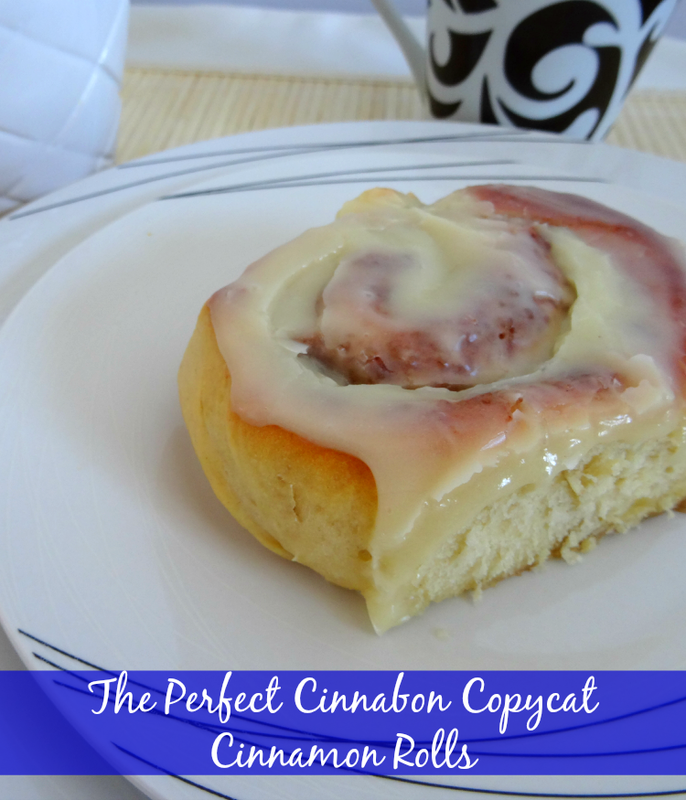 And Cinnamon Rolls from Pink Recipe Box just might be the perfect breakfast for your holiday guests or a fun after-sledding treat! Computer viruses stink, but blog breaks are good!